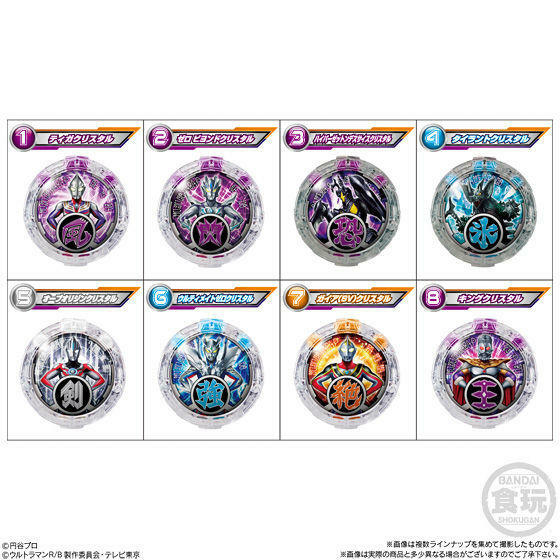 Plein de nouveaux ultra cristaux ! 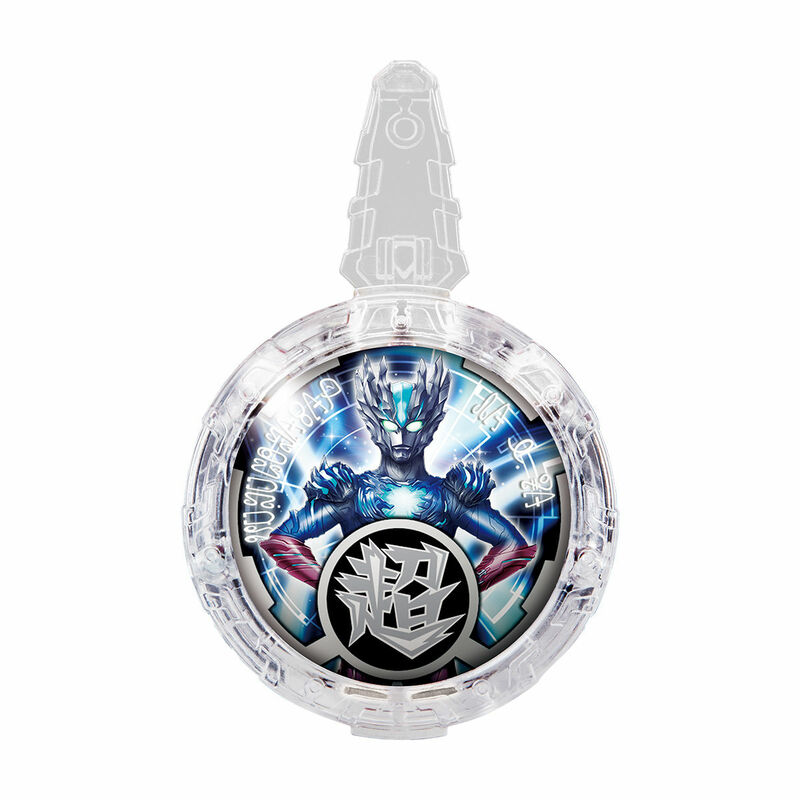 Full of new ultra crystals ! 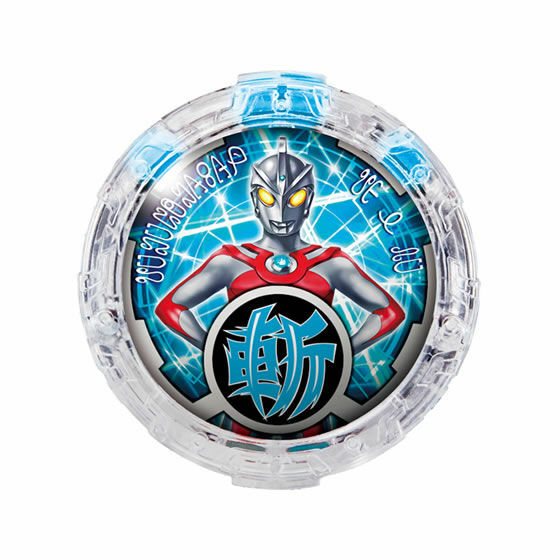 Œuvre d’origine/From : Ultraman R/B. Prix/Price : 3888 ¥ (~ 29 €/~ 34 US $) l’ensemble de douze boites/the set of twelve boxes. 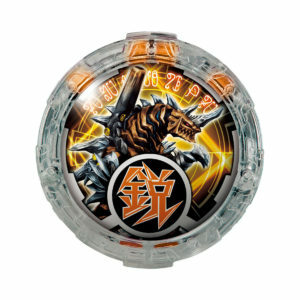 324 ¥ (~ 2 €/~ 3 US $) à l’unité/individually. Date de sortie/Release date : 15 Octobre/October 2018. 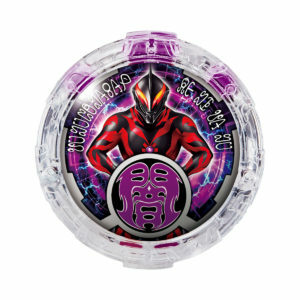 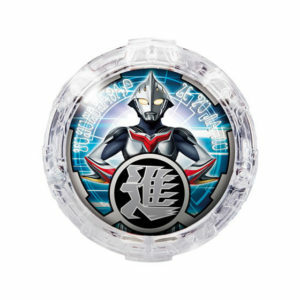 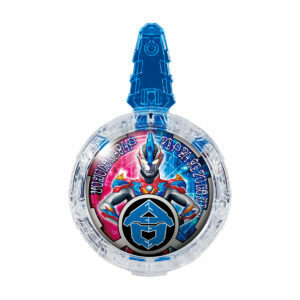 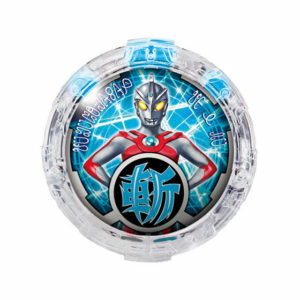 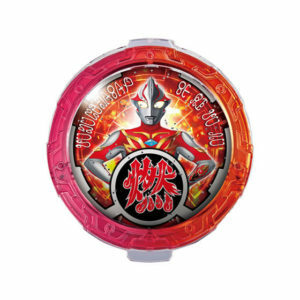 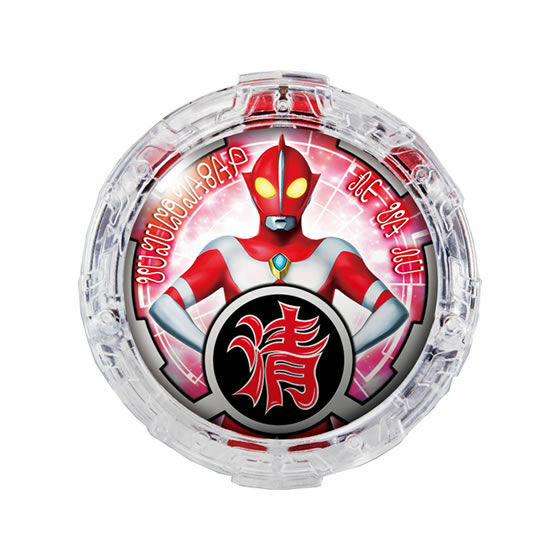 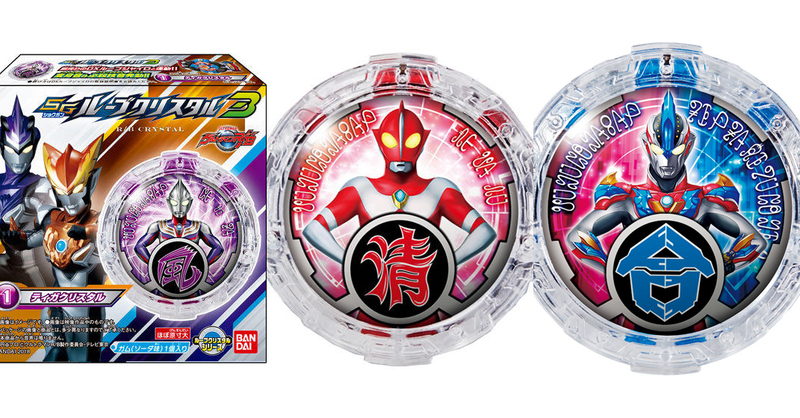 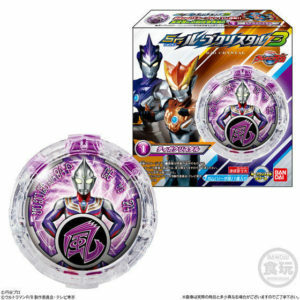 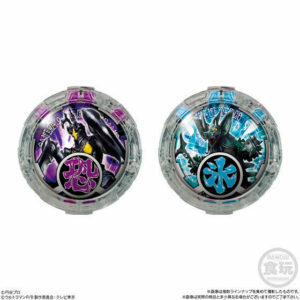 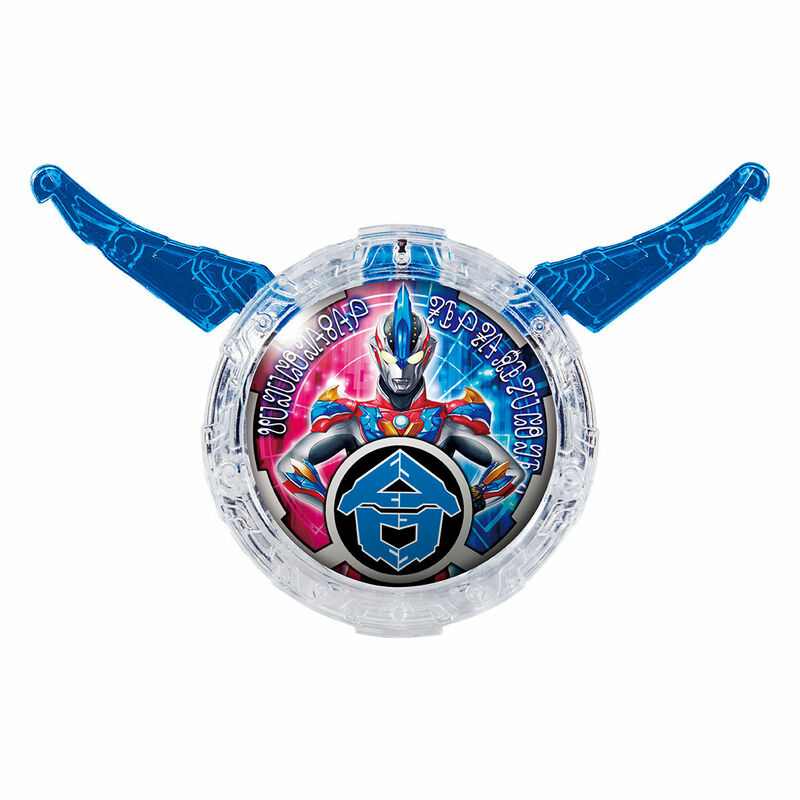 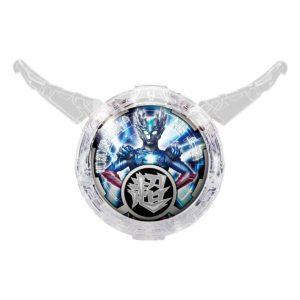 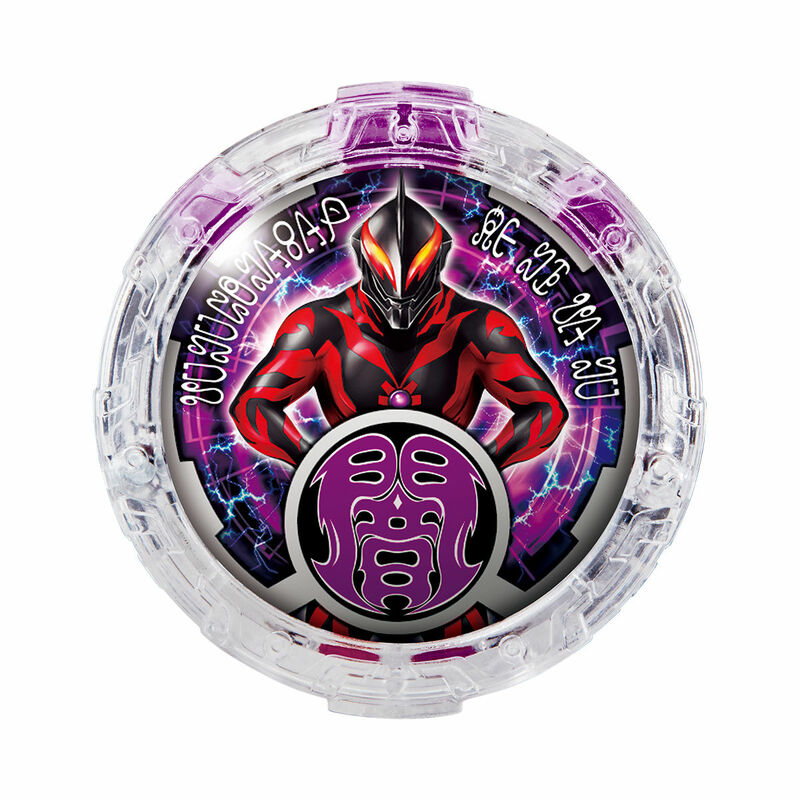 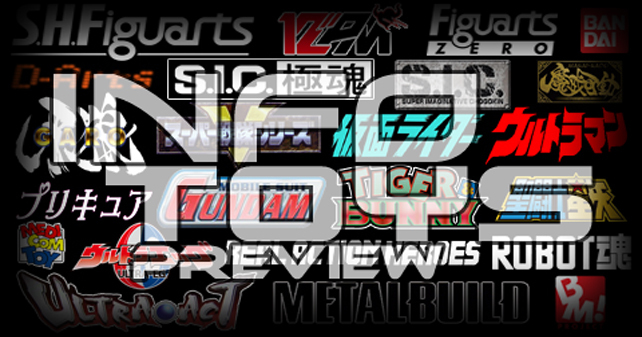 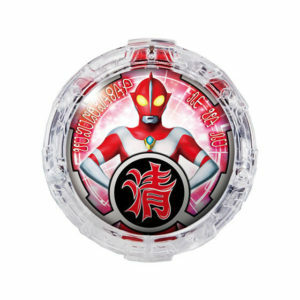 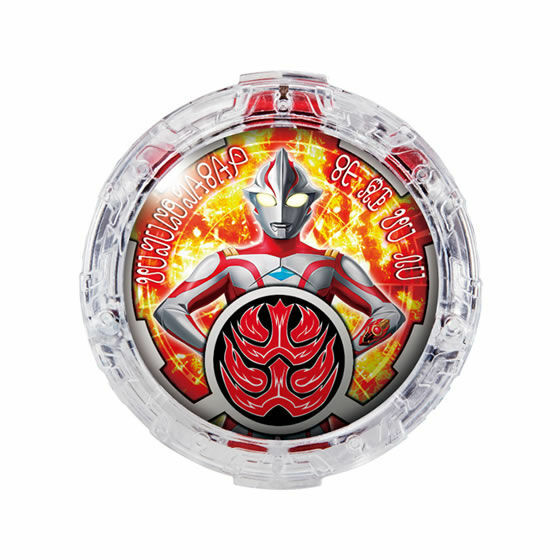 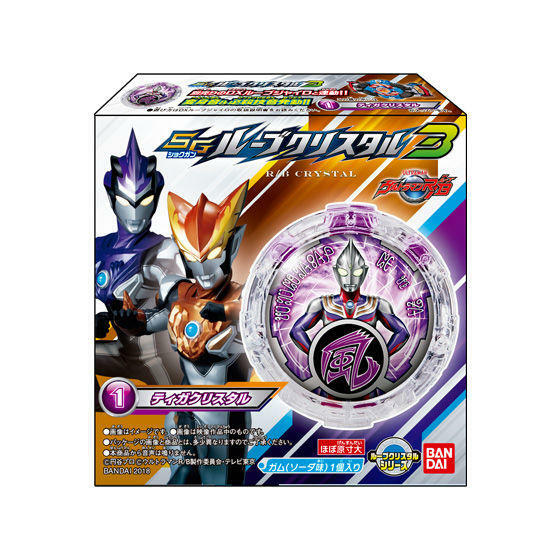 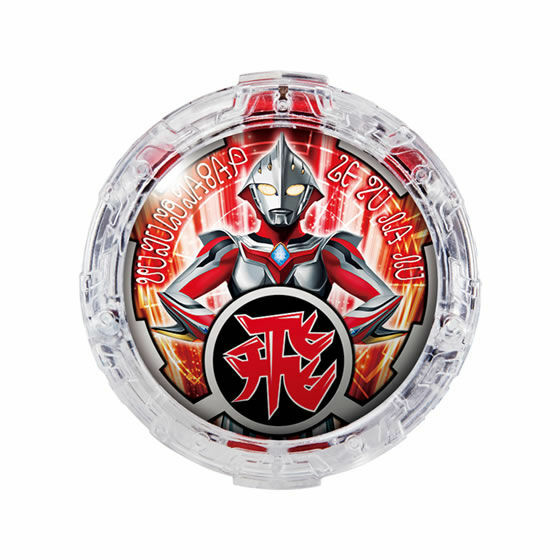 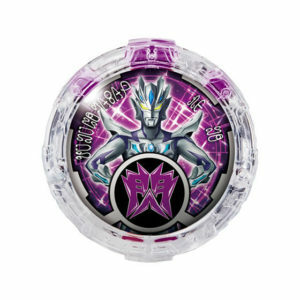 Contenu/Contents : Les R/B Crystal de Ultraman Tiga, Ultraman Zero Beyond, Hyper Zetton Deathscythe, Tyrant, Ultraman Orb Origin, Ultraman Ultimate Zero, Ultraman Gaia SV et Ultraman King, chacun avec une boite, une notice et un bonbon/Several R/B Crystal of Ultraman Tiga, Ultraman Zero Beyond, Hyper Zetton Deathscythe, Tyrant, Ultraman Orb Origin, Ultraman Ultimate Zero, Ultraman Gaia SV and Ultraman King, each with a box, a manual and a candy. 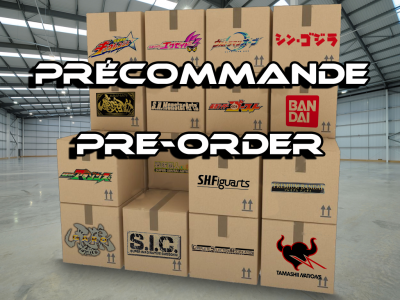 Complément d’informations/Additional informations : Le contenu précisé ci-dessus est donc réparti sur huit boites qui seront vendues individuellement mais aussi proposées dans un ensemble de douze. 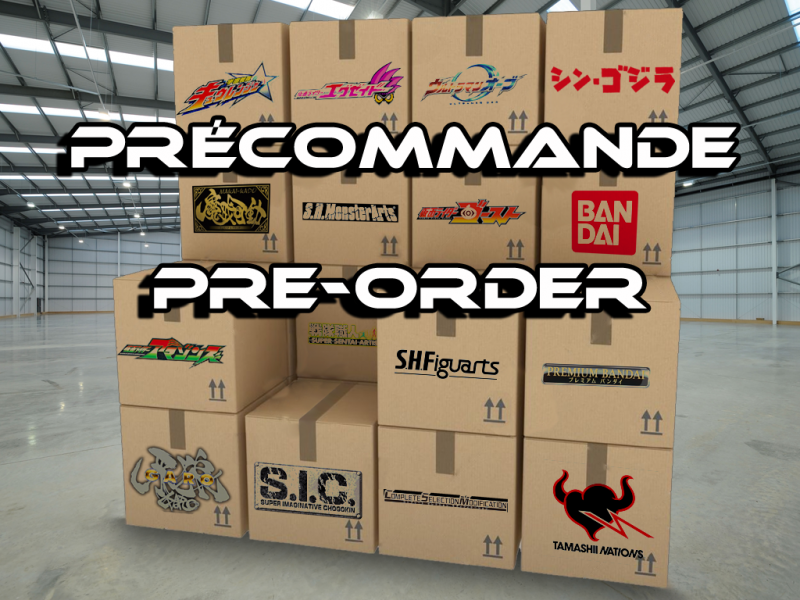 C’est à dire qu’il y aura au moins ces huit R/B Crystal mais que les quatre autres boites restantes de l’ensemble seront des exemplaires supplémentaires distribués au hasard/The content specified above is therefore spread over eight boxes which will be sold individually but also sold in a set of twelve. 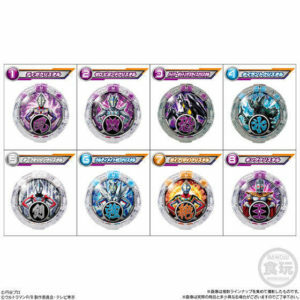 That is to say, there will be at least these eight R/B Crystal but the remaining four boxes of the set will be additional copies distributed randomly. 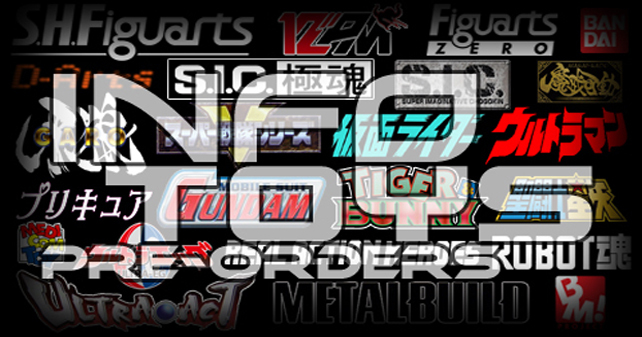 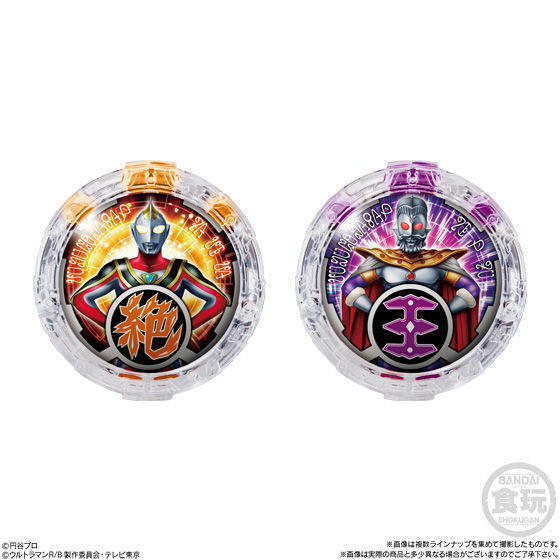 Prix/Price : 300 ¥ (~ 2 €/~ 3 US $) chaque/each. Date de sortie/Release date : 11 Octobre/October 2018. 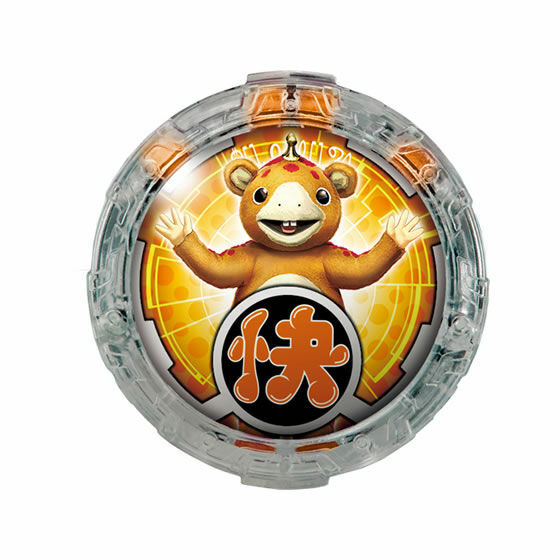 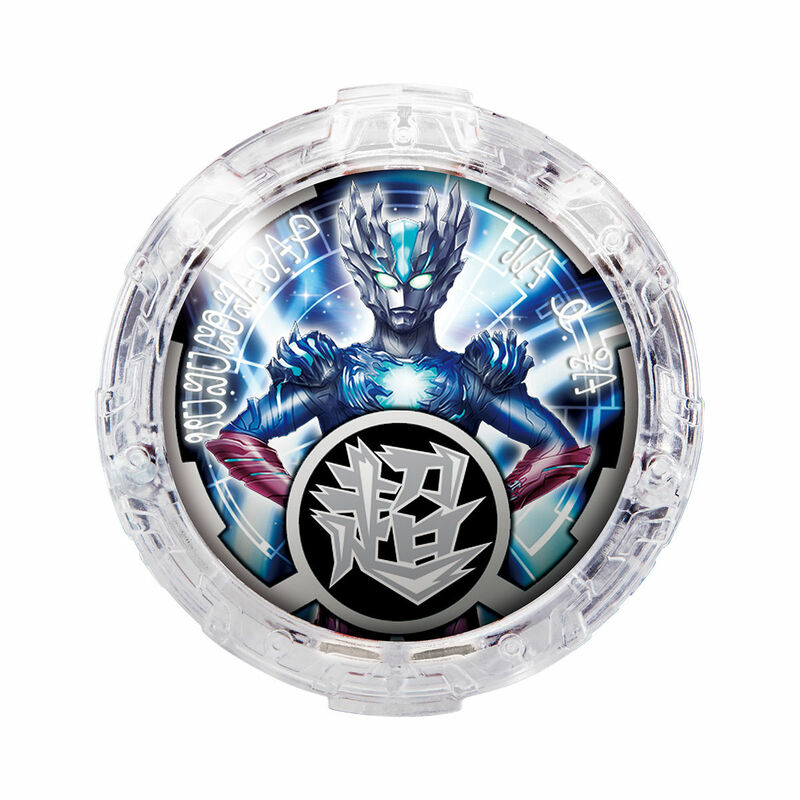 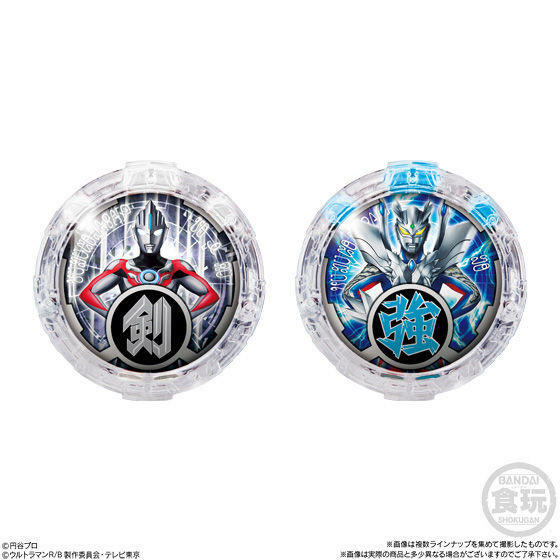 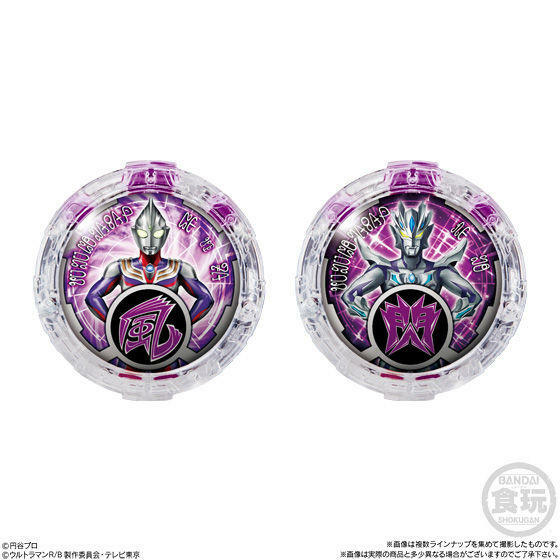 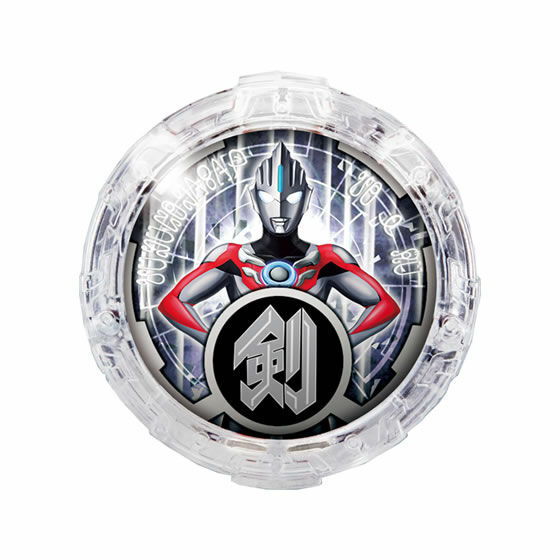 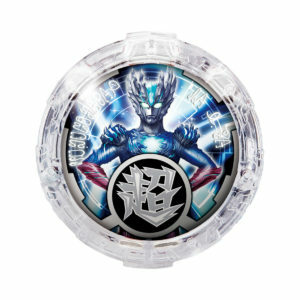 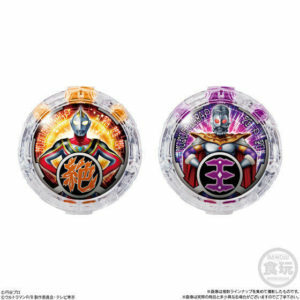 Contenu/Contents : Les R/B Crystal de Ultraman Orb Origin, Booska, Ultraman Ace, Ultraman Zero Beyond, Ultraman Mebius, Ultraman Mebius Burning Brave, Ultraman Nexus, Ultraman Nexus Junis et Ultraman Zearth et la notice/Several R/B Crystal of Ultraman Orb Origin, Booska, Ultraman Ace, Ultraman Zero Beyond, Ultraman Mebius, Ultraman Mebius Burning Brave, Ultraman Nexus, Ultraman Nexus Junis and Ultraman Zearth and the manual. 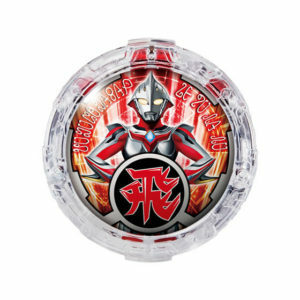 Prix/Price : 1296 ¥ (~ 10 €/~ 11 US $). 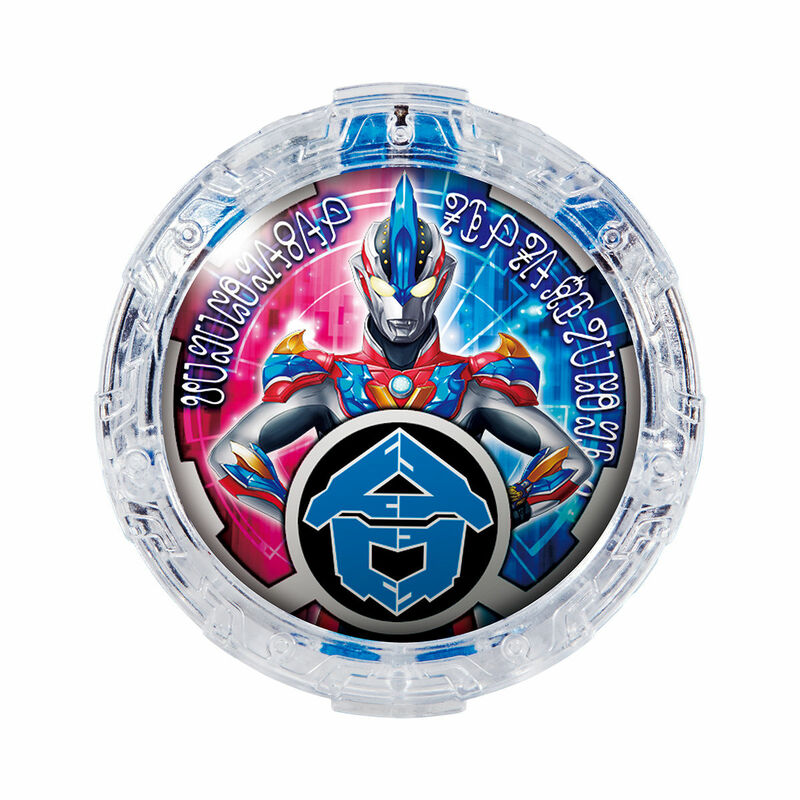 Date de sortie/Release date : 6 Octobre/October 2018. 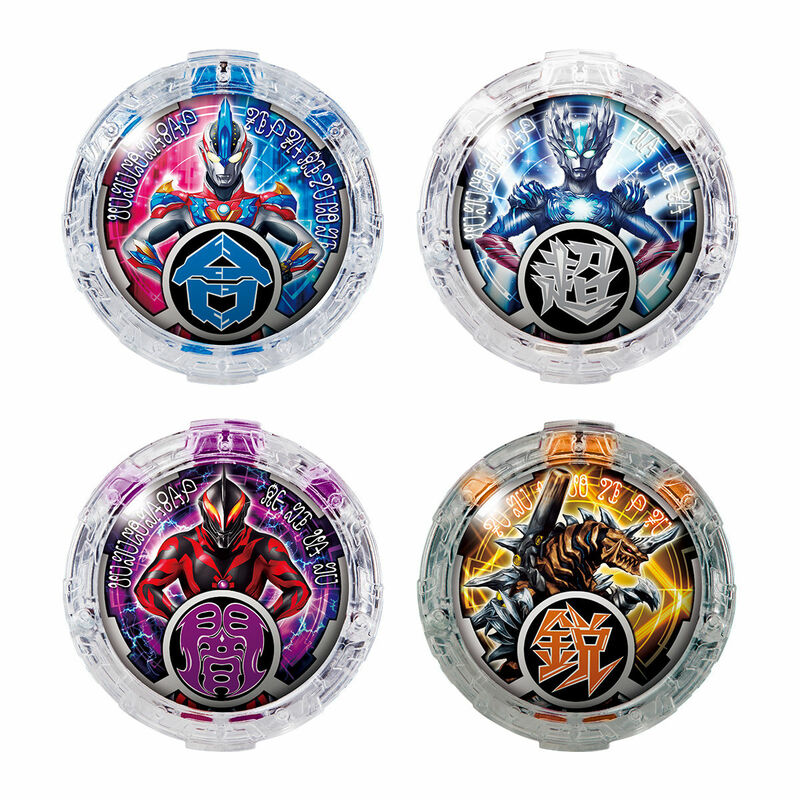 Contenu/Contents : Les R/B Crystal de Ultraman Ginga Victory, Ultraman Saga, Ultraman Belial et Grugeo King et la notice/Several R/B Crystal of Ultraman Ginga Victory, Ultraman Saga, Ultraman Belial and Grugeo King and the manual.